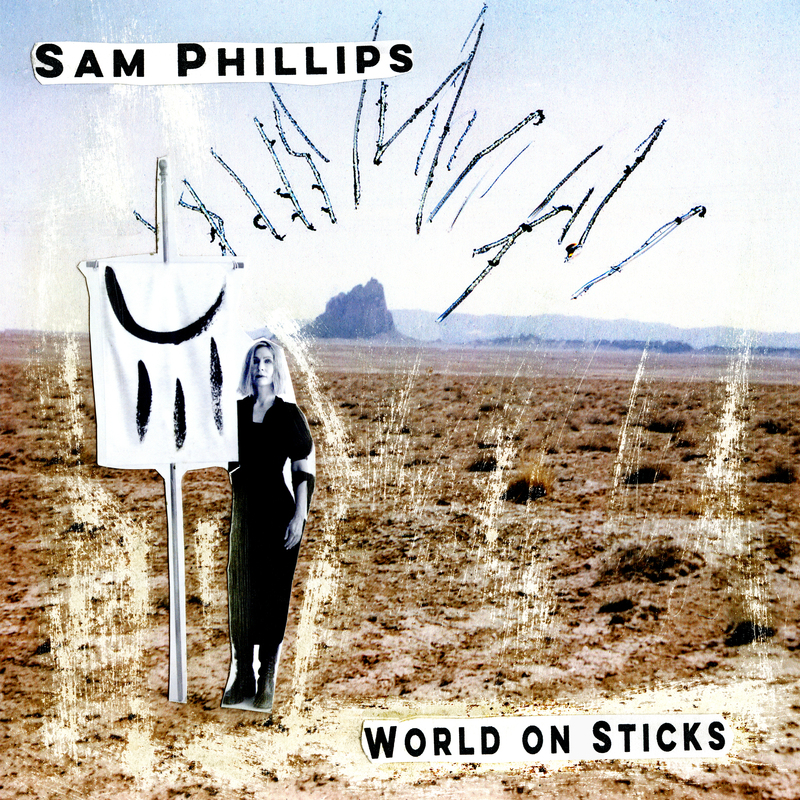 Sam Phillips : WORLD ON STICKS - RELEASE DAY! With big drums and beautiful strings, Sam Phillips conjured up her 10th studio album, World on Sticks, in between making music for television (Gilmore Girls: A Year in the Life for Netflix and The Marvelous Mrs. Maisel for Amazon). Swinging from broken modern sounds to dreamy, cinematic music, Phillips’ unique voice takes us on a journey through a world thrown off balance by excessive greed, speed, pollution and power. “Troubles on the outside can be reflections of troubles on the inside. We hand big business and big tech the keys when we accept their definitions and dreams of the good life, of beauty, of success, instead of creating our own. As I wrote these songs I wanted to look at our lost connections…with nature, with mystery, with other humans and parts of ourselves,” Phillips explains. Sam’s band, Jay Bellerose (drums), Jennifer Condos (bass), and Eric Gorfain (multi-instrumentalist/arranger), is joined by special guests Jon Brion (bass/guitar), Chris Bruce (guitar) and The Section Quartet (strings).